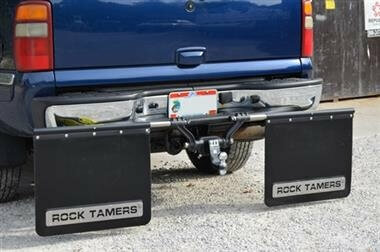 Protect what you own with a Rock Tamers Mud Flap system. 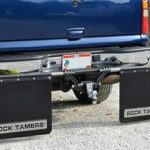 Rock Tamers are the premiere “Adjustable and Removable” Mud flap System designed to provide the ultimate protection for your towable’s from damage caused by rocks and road debris. 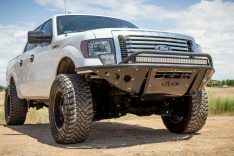 These removable mud flaps are the perfect solution for consumers who want the utility aspect of mud flaps and want to maintain their vehicle’s stylish and attractive appearance. 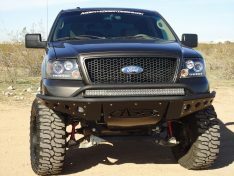 This patented system is easy to attach or remove from any standard 2″ ball mount.